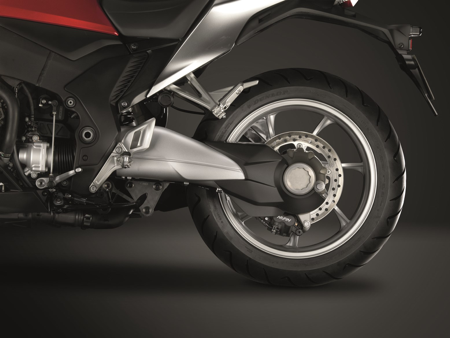 The motorcycle’s final drive is what takes the power from the transmission and uses it to turn the rear wheel, that results in motion. While many parts of the motorcycle have gone through much progress, the motorcycle’s final drive remains relatively unchanged. There are three main types of final drives. Let us take a look at their pros and cons. 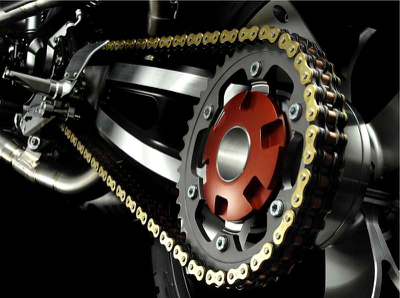 Also called the drive-chain, linked-chain or roller-chain, it is the most widespread form of motorcycle final drive, powering everything from mopeds to 1,000 bhp (that’s horsepower, not cc) motorcycle dragsters. The chain is strong thus able to absorb massive amounts of torque, power and kinetic energy. Transmits power efficiently without parasitic loss. Relatively cheap—as in, cheapest among the three types. It’s easy to see, clean and lubricate, as it sits out in the open. The chain, front and rear sprockets are easily removable and installed. Since removal is easy, gearing ratio change is also easy. High maintenance. The chain needs to be lubricated every 400 km or so (best if cleaned first). An insufficient or incorrectly lubricated chain results in a shorter lifespan. The chain may be clean and nicely lubricated after cleaning, but the chain lubricant will usually be sprayed all over the rear end of the bike. Even a well-lubed chain is noisy—a dirty chain is worse. 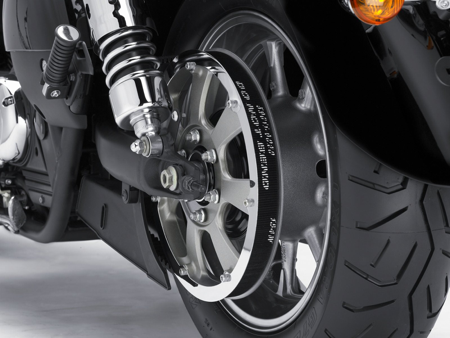 A badly maintained chain may snap and whip other parts of the bike and cause extensive damage. A snapped chain may also get caught in the rear wheel and cause it to lock up and skid. Also known as the drive-belt, it is more common on cruisers. There is no need to lubricate the drive-belt and you only need to spray the dirt off with water after riding in the rain. Longevity. As there are no fine nooks and crannies to trap dirt, unlike the chain, drive belts last longer. They stretch less too. A belt drive is quiet as there are no links. It is also clean because it does not require lubrication. Drive-belts are made of tough stuff such as Kevlar, nylon, etc as reinforcement, thereby costing more. Adjustment must be done as perfectly as possible, thereby requiring special tools. Final drive ratio can be changed but requires replacement with a belt of corresponding length, too, in addition to the pulleys. Shaft drives are usually used on heavyweight tourers and adventure bikes. Shaft final drives require little to no maintenance, as the whole unit is sealed off from the elements. There are manufacturers that use the adjective “lifetime” for the lubricating oil. Shaft drives are the cleanest since the shaft itself and gears are sealed, so there’s zero flinging of anything. The shaft and gear housing are made strong and usually forms the swingarm. So, there is nothing to snap, unless the motorcycle is involved in a heavy accident. Weight is a given aspect of the shaft drive since everything is made of tough metal. While it is not expensive to maintain, it is definitely the most expensive if something breaks. Want to change the gearing? It is so expensive that it might as well be considered unviable.